"This is a recipe my Mom always brings to the family get togethers. It's always requested and eaten. Most of the time she uses the cottage cheese/cream cheese mixture as directed and others she just uses two packages of cream cheese." Place the avocados into a mixing bowl; mash with a fork. Mix in cream cheese, cottage cheese, onion, chili peppers, and salsa. Season with garlic salt, lemon juice, and salt and pepper. 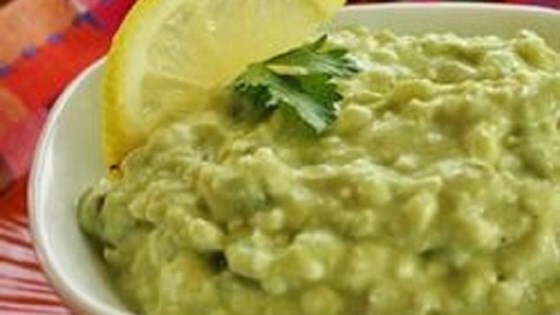 There's nothing quite as healthy and delicious as Chef John's classic guacamole. I'll stick with my own recipe. Very good. I love the different take on guacamole.